The Philadelphia Film Critics Circle (PFCC) today voted on and selected the winners of its first-ever year-end awards. 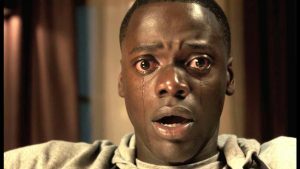 Jordan Peele’s Get Out was the big winner at the awards, winning four, including Best Picture, as well as Best Director, Best Script and Best Directorial Debut, all for Peele himself. Coco also won two awards, for Best Animated Film and Best Soundtrack/Score. Several other films won major awards. Daniel Day-Lewis won Best Actor for Phantom Thread, while Sally Hawkins was named Best Actress for The Shape of Water. The Supporting acting awards went to Woody Harrelson for Three Billboards Outside Ebbing, Missouri and Allison Janney for I, Tonya. Other winners included Brooklynn Prince of The Florida Project for Best Breakthrough Performance, Blade Runner 2049’s Roger Deakins for Best Cinematography, Brett Morgen’s Jane for Best Documentary Film and Cristian Mungiu’s Graduation (Romania) for Best Foreign Language Film. In addition, the inaugural Steve Friedman Award, meant to honor “a person or film that drives major public discourse on a topic or issue,” has been presented to Patty Jenkins’ Wonder Woman, while the Elaine May Award, for a deserving person or film that brings awareness to women’s issues, was presented to Lady Bird.